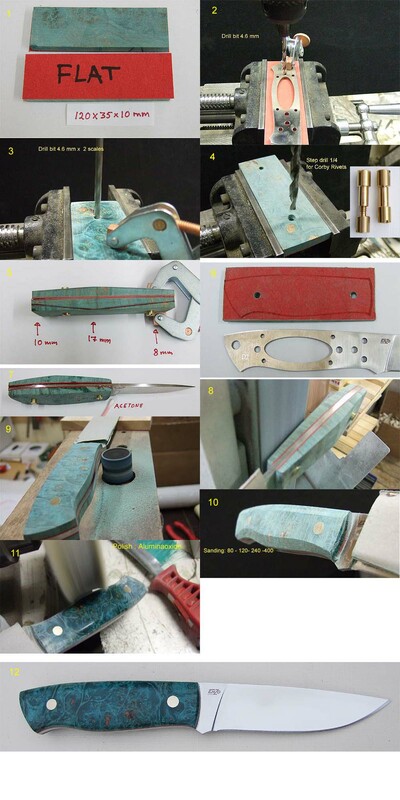 SAVOR THE CHALLENGE OF MAKING YOUR OWN PERFECT KNIFE! If the link doesn't work, copy and paste into your email client. Superior Customer Service: Service is our specialty. We'll go the extra mile to get you exactly what you need and we ship by USPS Priority Mail, normally within 24 hours of receiving your order if the item(s) are in stock. Lowest Prices: We pride ourselves on keeping your passion for Scandinavian knives an affordable one as well. Unique Inventory: We carry products you won't find anywhere else in the United States. If you don't see exactly what you need, ask for it. We're affiliated with Brisa of Finland Knife Supplies and have access to many items not yet featured on our website. We are the number 1 Brisa dealer in the US. Expert Knowledge: We're experts in making Puukko knives, EnZo knives, and Scandinavian knives in general. Get in touch today and find the advice and ideas you're looking for to create the handmade tool you can use for everything from hunting, fishing and gardening work, to cutting open a box. EVERYTHING YOU NEED TO MAKE A SCANDINAVIAN KNIFE...AND THEN SOME! Please check your email. If I am out of stock or you have placed an International order I will email you. I am not set up to take phone orders. INTERNATIONAL CUSTOMERS - Please read the ordering and shipping information at the bottom of the page. ALL CUSTOMERS - If you want to order larger quantities of an item (5+) please email before placing your order. Also, because of the changes in the value of the Dollar versus the Euro, I am evaluating my pricing periodically. Items without prices are not in stock. However, if there is something you want, please contact me and I can get it for you. I am always looking for suggestions on what to add to the inventory next. To convert mm to inches, divide the mm by 25.4. For example, if you are looking at a blade that is 85 mm long, divide 85 by 25.4 and you get 3.4 inches. To convert cm to inches, divide the cm by 2.54. For example, if you are looking at Moose Stag antler that is 8 cm, divide 8 by 2.54 and you get 3.2 inches. I am not set up to take telephone orders. If you want to pay with PayPal, you can use the "Buy Now" buttons next to each item. If you include your email address with your order I will email you when your order ships. Priority Mail - Up to one pound - $36.00 to Canada, $48.00 to Europe, including the UK. Sometimes I can reduce international shipping charges by using Priority Mail Flat Rate. $28.00 to Canada. $38.00 to most other countries. A disadvantage of First Class International is that they can not be insured. Once I ship your order it becomes your responsibility. PayPal does not show charges for international shipping. I will contact you and let you know the shipping charges. The purchaser is responsible for all fees, taxes, import duties, etc. Insurance - $2.45 up to $50 of coverage; $3.60 for $100. Please contact me at bradjarvis3@comcast.net. All items returned must be in original condition. LEGAL - Please Read This!! from the mail, please arrange for alternative shipment or signature delivery.